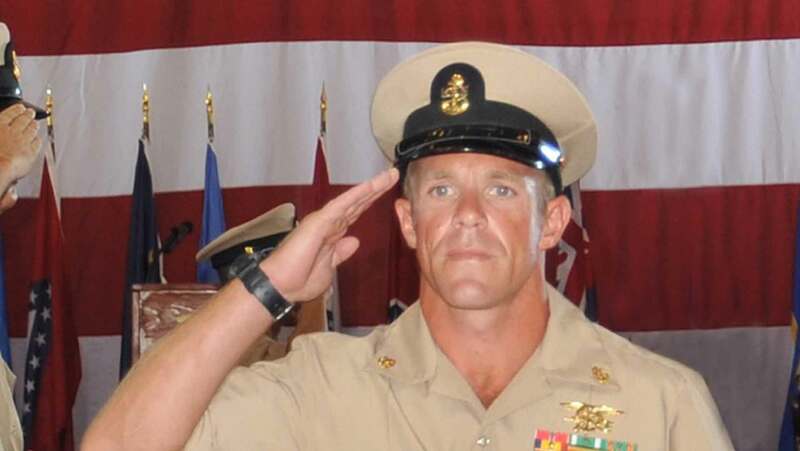 Navy SEAL Eddie Gallagher and War Crimes – Miscarriage of Justice? Home » Navy SEAL Eddie Gallagher and War Crimes – Miscarriage of Justice? Chief Petty Officer Eddie Gallagher was formally charged with violations of the UCMJ – war crimes – and is currently incarcerated. But there are some issues that lead many to question the charges and the “evidence” used to make them. The SEAL platoon’s leader, Lt. Jacob Portier, has also been charged in the case because he “did nothing” to “stop Chief Gallagher.” But are any of the charges truth? Or were they fabricated out of revenge by a group of platoon members who did not like the Chief? 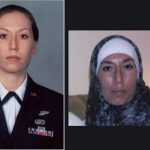 Allegedly stabbing an ISIS member to death, posing for a photograph next to the body, and operating an aerial drone above it which brought “discredit upon the armed forces.” –UPDATE: Feb 4, 2019- The Navy Times reports that a two judge panel ruled that the charges of use of an aerial drone, and the reenlistment ceremony by the corpse of a dead ISIS fighter are not violations of the UCMJ – “poor taste” but not criminal violations. In June of 2017 allegedly “gunning down” a noncombatant male. In July of 2017 allegedly “gunning down” a noncombatant female. Alleged abuse of tramadol, a (synthetic) opiate for which Gallagher had a prescription, according to his defense attorney Philip Stackhouse. 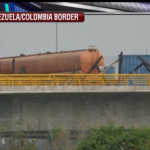 Alleged possession of Sustanon-250, an anabolic steroid – allegedly found during an NCIS search of his residence back in June, when he was detained the first time. Three counts of obstruction for allegedly telling his men not to say anything about the allegations. Transcribed interviews from two Iraqi military leaders reportedly contradict every aspect of this case. Those interviews are seemingly passed over as if they didn’t exist. A recent Navy Times article indicates that damaging information from the AOIC- a prosecution witness- has been leaked to the press, and the Judge, Capt Aaron Rugh, stated that it could taint the jury. The very presence of such allegations of “war crimes” – and remember that these are ONLY allegations- makes it extremely difficult for him to receive a fair trial. He has been painted by the press as evil and crazy. In many past cases like this one, “confirmation bias” has been at play. It doesn’t matter what the facts are, or what the real witnesses say, prosecutors tend to find ways of ignoring and/or blocking exculpatory evidence from being heard. We’ve seen it before in numerous trials of military service members. On Friday, January 25, a hearing was held in which defense counsel asked the judge to disallow supposed “testimony” of a bragging incident in which Chief Gallagher said he “killed 200 people” – the judge denied their request. Any testimony against that narrative is seemingly being ignored. At that same hearing, media published that witnesses were granted “immunity” for their testimony against Chief Gallagher. But that was not exactly correct, and the defense demanded a retraction. The reporter who spread the incorrect information, supposedly never contacted the defense for information. THAT is normal- most of the time MSM reporters assume the prosecution narrative is the correct one. We do not. “These seven SEALs were NOT granted immunity to testify on behalf of the prosecution against Chief Gallagher. They were granted immunity because they refused to even talk to the prosecutors without having immunity. The prosecutors obtained “testimonial” immunity for 7, and most of them have continued to refuse to speak to the prosecutors unless they get “transactional” immunity. Gallagher’s defense team is in the process of submitting a request for over a dozen more to be granted “transactional” immunity so they can get the truth out to the court. Prosecutors claim to have “DNA” on a knife they found. But they have not said whose DNA, nor if it even has any relevance to this case. The very mention of having such a thing prejudices all who read about it and makes the narrative seem valid, even if it is not. A whisper campaign began in late 2017 by a small group of platoon members who had been called out by Chief Gallagher for cowardice during deployment. The situation began as minor grievances of the kind that school girls would come up with – and Chief Gallagher held a 3 hour meeting with the platoon to handle them while still in Iraq. No mention was made of any war crimes during that meeting, as we previously reported. Up until this point, command had been in Chief Gallagher’s corner. But in early 2018, Chief Gallagher was to be given a coveted position at the SEAL Training Detachment (TRADET). He would have been responsible for teaching SEALs the latest in tactics, since he had just come out of theater, and those who hated him would have been under his command once again. According to a former SEAL Team 7 leader, those malcontents suddenly planned to go to WARCOM and “set up” the Chief. Inexplicably, Command abruptly began working against him. Now we understand – the AOIC’s claims were horrific, and their relationship had become strained. But were the claims real? Command dropped the Chief from TRADET, rescinded his Silver Star- downgrading it to another Bronze Star with V, and stopped him from being pinned to his new rank at E8. In April 2018, NCIS picked up the case. They raided the Gallagher home in June. They arrested Chief Gallagher on September 11, 2018 while he was being treated for a TBI (Traumatic Brain Injury) at the National Intrepid Center for Excellence, an outpatient clinic. Again, this treatment is part of the total narrative: ‘decorated soldier goes nuts starts killing people for no reason.’ It’s a narrative that paints him – and now his immediate commander – in the darkest light possible. The claims of the AOIC seriously threaten Chief Gallagher and Lt Portier from receiving a fair trial. Chief Gallagher is a decorated Navy SEAL combat veteran. Did he “go off the rails” and suddenly become some monster that just wanted to kill people? That belief doesn’t seem to fit the man. He and his attorney are believing his colleagues will see the truth and exonerate him. Judge Rugh also expressed concern that the Chief is being mistreated in the brig: not allowed to shower for days, not allowed a haircut, and even had his medical appointments cancelled. The Navy says they’ll take care of it. We hope so. You can read those horrific claims here – but again, we caution you to remember they are allegations, not proven facts. Unfortunately, because they are out in the public domain, the truth could be extinguished by darkness. Thank you for bringing to light this horrific case. If the charges are true – a black eye for the military. if the charges are not true – a bigger black eye for the military. How sad. The whole contentious scenario and it’s being “adjudicated in the press.” I don’t want the integrity of special forces from any branches of the military to be discredited. The bloody details could have been saved until after the courtmartial.